This is a super easy recipe that only has a few ingredients and takes less than 15 minutes to make. Salmon Caesar salad is awesome. 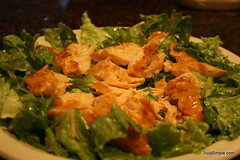 I love the way the flavors mix, with the nice flaky salmon and nice crisp lettuce. So yummy. 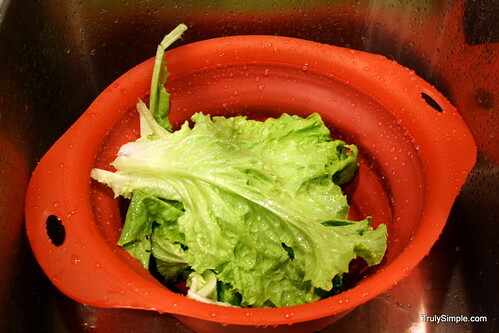 This was also a nice first for me as I was able to eat something out of my garden for the first time! Yipee!! This recipe only has a few ingredients and its very easy to make. 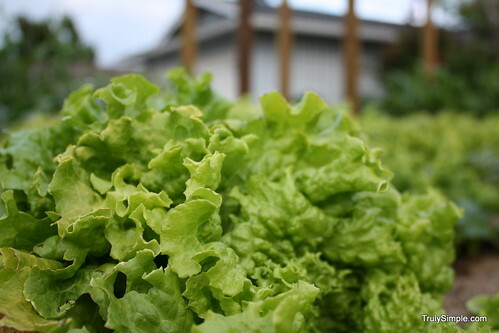 First get some lettuce. I was lucky enough to be able to walk outside and just grab some from my garden. First time eating anything from my garden. I was so excited. 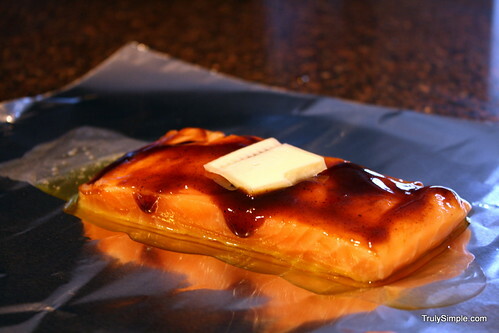 Take some tinfoil and grab yourself a big piece for each salmon fillet. 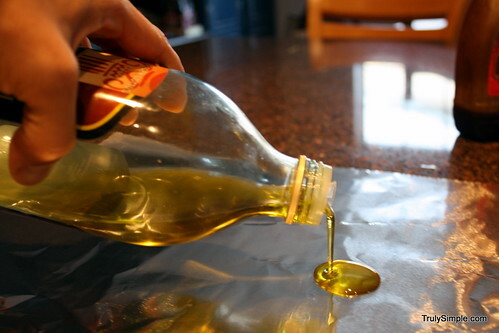 Pour a tablespoon of olive oil on the tinfoil. Lay the salmon on the olive oil. 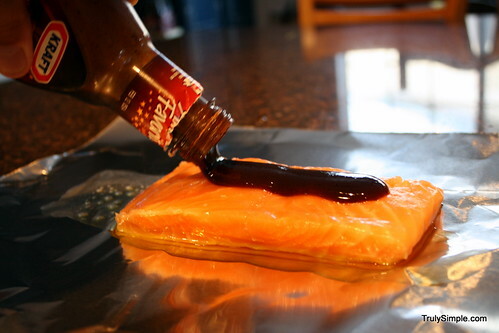 Pour a layer of Kraft BBQ sauce on top of the salmon. I know this sounds weird, but Kraft BBQ sauce is all sugar and all of the BBQ sauce will burn off leaving an amazing glaze flavor. Trust me, its amazing. It wont’ taste anything like bbq fish. 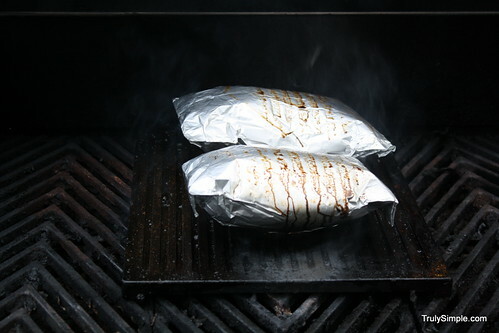 Spread the BBQ sauce and throw on a pat of butter. 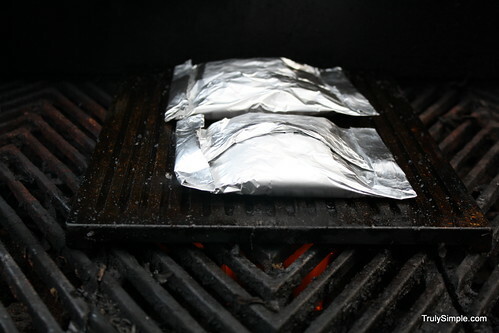 Wrap up the salmon in the foil. 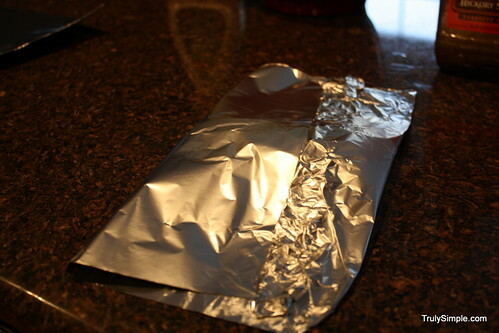 Fold all edges in to seal it in a pouch. 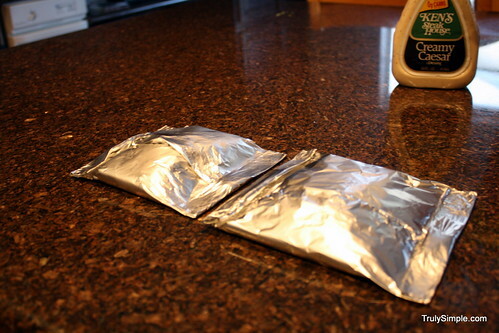 All sealed up and ready for the BBQ. 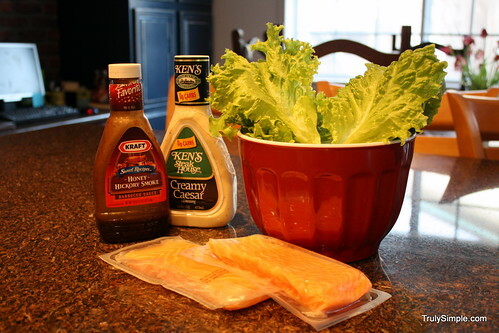 Toss the lettuce in the Caesar dressing and lay the salmon out on top of the salad. Add some croutons if you have them. I didn’t have any on hand. That’s it. It really is super simple to make this and its oh so tasty. If you’ve got a recipe you like and want to share it with me please leave me a note in the comments below. Also please take a second to sign Jamie Olivers Food Revolution petition. 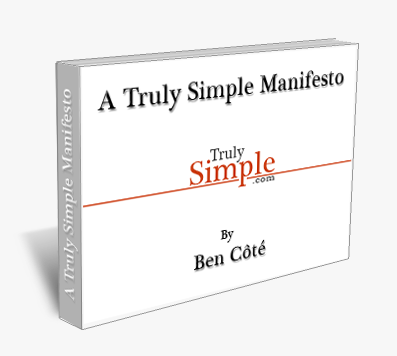 He is encouraging people to cook more at home and thus have healthier lives and I encourage you to do the same.